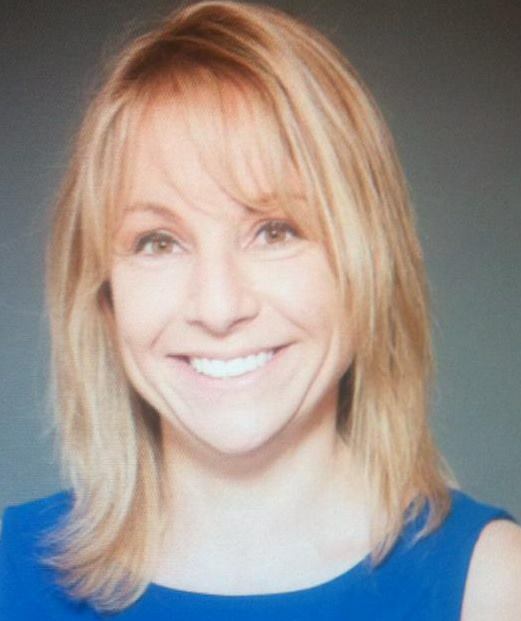 Rena Strauss of Grant, Riffkin & Strauss, P.C. Need the services of one of our Business Team? The Mid-County Connectors chapter closed over $132,000 (that’s NET- not gross!)!!! 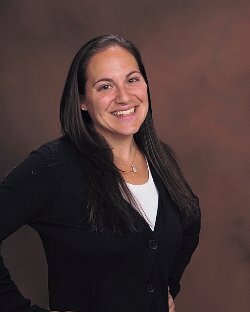 Our featured speaker this Thursday is Sarit Arbell, of BNI Central Maryland!! *See our list of future speakers here and let us know if you’d like to come for a visit! BNI is a business and professional networking organization that offers members the opportunity to share ideas, contacts and, most importantly, qualified referrals. Central BNI’s ongoing education programs help members build their business through “word of mouth.” With over 5,000 chapters worldwide (over 100 in Maryland & D.C.), BNI is the world’s largest networking organization! 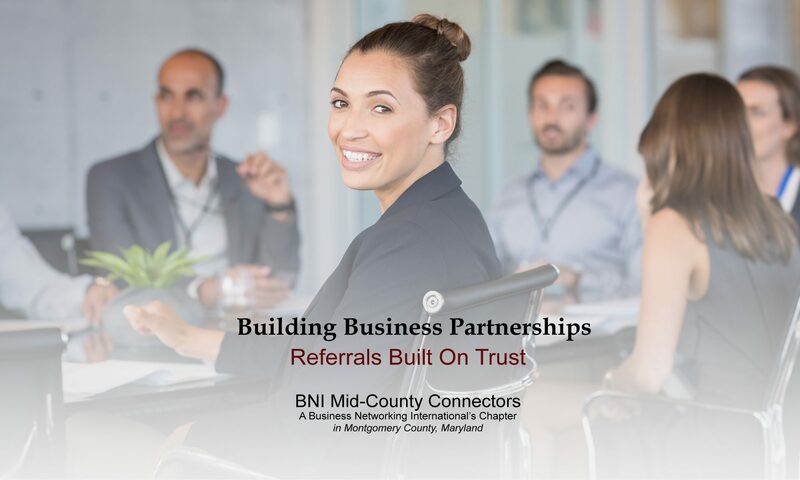 Our chapter, BNI Mid-County Connectors, was launched in April of 2007 and has been strong and steady every since. We are currently in search of the following professions to join us, but we are not limited to this list! If you are interested in visiting our chapter, please let us know – email us. Our Thursday Mid-County Connectors lunch chapter is a chapter with continuous growth! Our chapter is filled with enthusiasm and new growth almost every week! The vibe is a positive one and you will feel it when you come for a visit! Our members and their organizations give of themselves to provide the highest level of quality possible! All Members in the Thursday BNI Mid-County Connectors chapter carry great responsibility. Each member represents the group, so their service reflects all members! As a result, each member strives to provide an exceptional level of professionalism. I have been in BNI for almost 15 years and the business education and referrals I’ve gotten won’t beat any other marketing value for your money. I have been a member of the BNI Midcounty Connectors for almost a year and a half, and it has by far been the best business decision I have made. Almost half of my business has come from either direct referrals from BNI, or individuals who I have been connected with through BNI. However, the greatest reward about being part of the BNI Midcounty Connectors is having established great relationships with other like-minded entrepreneurs who are just as driven as I am to succeed. I have learned to truly embrace the BNI “givers gain” philosophy, as I get as much of a rush giving another member a successful referral, as I do receiving one. BNI has also taught me to be a better networker and public speaker, allowed be to be more outgoing, and given me the tools to keep my eyes and ears open for any potential referrals that I can pass on to my fellow members. I encourage any entrepreneur with a go-getter attitude to come and visit a BNI chapter. As with me, it could be the best business decision they ever make. Copyright © 2010-2019 BNIMidCountyConnectors.com. ALL RIGHTS RESERVED.